BlackBerry looks like it's managed to finally turn its ship around as the Canadian firm returns to profitability, but it's come at a cost. 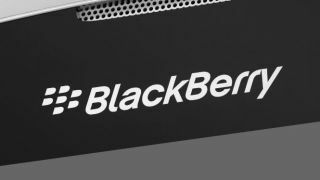 According to the firm's financial results for the fourth quarter (Dec-Mar) it has seen revenue fall 2 per cent on the previous quarter and 36 per cent year-on-year, although the dramatic cost cutting measures which have been brought in has seen BlackBerry turn a profit. The results also note that BlackBerry subscribers now stand at 76 million, which means the firm has lost customers as it was apparently nearing the 80 million mark towards the back end of September 2012. During the fourth quarter BlackBerry managed to ship 6 million smartphones, of which 1 million were handsets running the firm's new BlackBerry 10 software. BlackBerry CEO Thorsten Heins claimed demand has been greater for the flagship BlackBerry Z10 than for any of its previous handsets, but it's worth remembering that shipping isn't the same as sales, so the actual number of BB10 handsets in people's hands could be much lower than that 1 million mark. And spare a thought for the BlackBerry PlayBook. It's still bumbling along and a whole 370,000 were shipped during Q4 - although it remains to be seen if they are still sitting in warehouses. As part of the earnings announcements it was also noted that co-founder and former CEO Mike Lazaridis will leave BlackBerry on May 1, relinquishing his position as vice-chairman to focus on a new venture. While Lazaridis may no longer be in charge, his decision to leave will prompt some to assume he's jumping off a sinking ship and possibly looking to distance himself before things get even worse - although there's been absolutely no mention of that from Lazaridis himself.